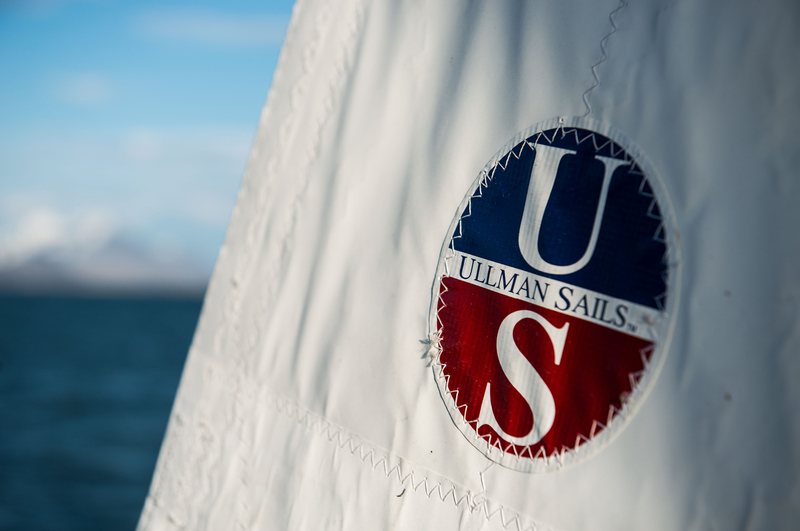 The Ullman Sails J/70 mainsail uses a crosscut panel layout to improve the sails ability to twist, ultimately making the sail easier to adjust and trim according to the conditions. This has proven successful in many of our one design development programs, most notably with the Melges 24 Dacron “Shark” mainsail – Samuel “Shark” Kahn won the 2003 Melges 24 World Championships at age 14. (The M24 Shark mainsail also powered the 2005 and 2007 World Championship teams). Our newest jib design, the J1-AP sail is designed for sailing in all conditions with the ability to easily go up the wind range. This sail is designed especially for sailing in lighter conditions. A fuller sail, competitors can expect exceptional power. This is the sail used by the 2015 J/70 Corinthian World Champions. This sail was designed for southern California racing conditions. With a higher clew and more foot round, the J1V2 is optimized for inhauling which translates to better pointing and speed in the light air. The new J2SF Race Jib is designed for more moderate and heavy air conditions. With a lower clew and less foot-round than the J1V2, this sail has a sweet spot in anything over twelve knots. The sail also is great in light air and flat water. This sail, specially designed for the 2016 J70 Worlds comes in two different cloths: Pro-radial, and Firm Finish Square Dacron. This sail was used by the top Corinthian boat at the 2016 J70 World Championships. Ask your local loft representative about cloth options! Our tri-radial race jib is cut to take advantage of the low stretch of the Square Dacron cloth bias in an all-purpose headsail. The result is a jib that doesn’t stretch, keeping the sail flat as the wind speed increases. The combination of radial panels and Square Dacron or Pro-radial cloth is essential to give the sail the durability needed for a Dacron furling headsail. Our newest design, this is the Spinnaker of choice. Designed with a fourth level of panels, the sail exhibits greater stability and shape-holding traits than the competition. Our performance design has been proven to get you planning in lower wind-speeds, helping you push past the competition or extend your lead. The Ullman Sails J/70 spinnaker is designed with a powerful flying shape that is easy to trim and performs across all wind angles. This is the spinnaker of choice for flat water venues.